Welcome, to the international project “Positive Psychology, values and SEW in Families and Family Business”, a collaboration from the Chair of Entrepreneurship and Family Business held by Prof. Dr. Moog and the German EQUA-Stiftung. The project, which started in the 4th Quartal of 2017, aims to further entangle the uniqueness of family businesses. It is commonly acknowledged within the academic research as well as in the management literature, that family businesses act differently in regards to strategic behavior, growths, culture, networks and many more aspects than their non-family counterparts. Often, this difference is explained by the close relationship of the owner-family of the business and the personal involvement of the owner in the day to day management. Here it is argued, that decisions are made based upon an orientation towards preserving the familiness and the so called socio-emotional wealth (SEW). In close connection, values and the identity of the family or individual family members are often mentioned. However, a closer look has not yet been taken on how individual- or family values are generated and preserved over generations and finally influence the family business directly. These aspects obviously stand in close connection to psychology. How do certain members find their role in this complicated family business construct? How can you participate in the activities and which psychological barriers exist that hinder such actions? Thus, this project tries to finally “connect the dots” between values, SEW and psychology (especially positive psychology) and the resulting uniqueness of family businesses. Some of the questions we would like to address are as followed. 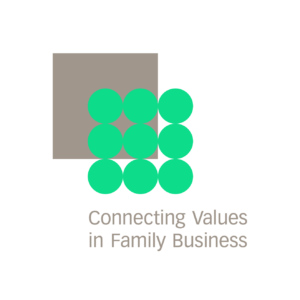 How do the individual values of family business owners form (especially in regards to positive psychology)? How do values accumulate within the family? How do values sustain through generations? How does this influence SEW and thus the decision-making in family firms? This web page will serve as constant news feed, whereas major events and breakthroughs will be posted. We invite you to contact our Team if you have any further questions or would like to know more about what we do.